Chicago, IL, February 14, 2019 --(PR.com)-- Winesellers Ltd., the family-owned global importer and marketer of fine wines, announces its newest addition with Kin & Cascadia, a line from Columbia Valley, Washington and Willamette Valley, Oregon. This is a story of brothers, fathers, sons, and friends; true kin. The Sager & Master Family are now in a second-generation partnership and perpetual search to produce wines in the world’s best regions. This story is decades in the making, starting as industry acquaintances turned partners and lifelong friends. 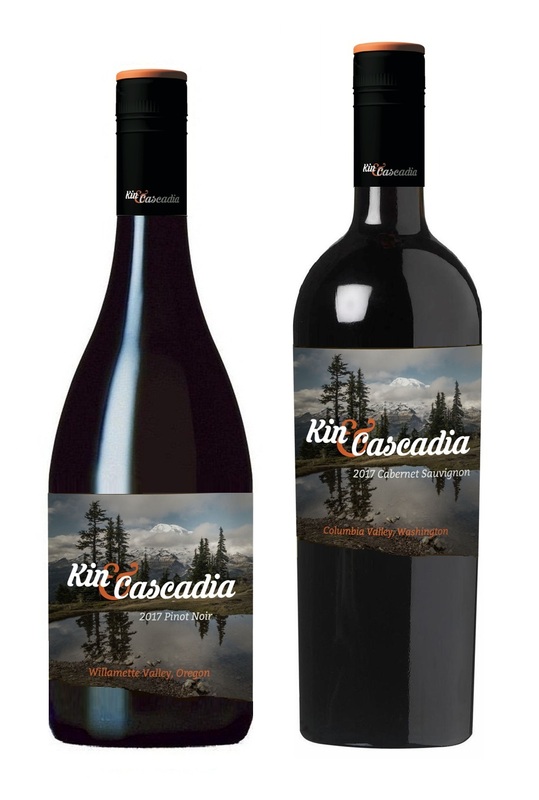 Kin & Cascadia is the story of two families working together making great wines in the Pacific Northwest. “Winesellers, Ltd. has been searching for wines from the Pacific Northwest that fit our criteria for quality, value, and sense of place. It took us time, but we are now very excited to have two great additions to our portfolio and partnership with the Master Family,” says Adam Sager Co-President of Winesellers, Ltd.
Our Cabernet Sauvignon is grown in the Wahluke Slope AVA of the famed Columbia Valley, Washington. It is an elegant and refined wine, medium bodied, with aromas and flavors of mocha and black cherry. Our Pinot Noir is grown in the heart of the Willamette Valley, Oregon. This gorgeous wine is soft and delicate but rich with flavor and overtones of strawberries and rose petals. The Sager & Master Family partnership includes Tortoise Creek, Le Charmel, Tiamo Organic wines, Exem Bordeaux, Mont Gravet and the recent release of Kin & Cascadia Pinot Noir and Cabernet Sauvignon 2017 will be positioned $14.99 retail nationwide in 2019. Founded in 1978 by Yale Sager, Winesellers, Ltd. is a second generation, family-owned and globally recognized importer and marketer of fine wines to the U.S. market. The company’s portfolio represents the finest quality of wines in their respective price category and has widespread distribution in all 50 U.S. states. The Winesellers, Ltd. portfolio includes producers and brands from Argentina, California, Washington State, Oregon, France, Spain, Portugal, Germany, Italy, New Zealand and other countries worldwide that can be found in premier retailers and restaurants throughout the U.S.
Click here to view the list of recent Press Releases from Winesellers, Ltd.